The Byron Bay Writers’ Festival blog is brought to you by a dedicated team of Southern Cross University students, #uniSCU, edited by their teacher, media lecturer and journalist, Jeanti St Clair, and with contributions by founding blogger, Marian Edmunds and established journalist Hannah Brooks. The 2015 team of student reporters and photographers includes Kaitlin Liemandt, Jack Savage, Lachlan Rutherford, Megan A. Morgan, Thomas Dutton, Emily Pierce, Ben Campbell and Kalem Horn. Jeanti St Clair is an award-winning journalism lecturer at Southern Cross University in Lismore, Australia. She has over 20 years experience in radio, print and online journalist and has worked with in the Australian media the ABC, News Limited and Fairfax. Currently, she is ABC North Coast’s arts reviewer. Marian Edmunds is a creative writer, journalist and copywriter and mentor who founded the Byron Bay Writers’ Festival blog in 2007. Her story ‘Don’t Forget Your Toothbrush’, a Turkish bath tale appears with excerpts by Orhan Pamuk, William Dalrymple in City-Pick Istanbul (2013). Her story A Blue, Blue Sky appears in City Pick New York literary travel anthology alongside stories and excerpts by F.Scott Fitzgerald, and Jonathan Franzen. She was a journalist at Financial Times where she worked for 15 years, and now works in a studio in Murwillumbah. Hannah Brooks is a freelance journalist based in Byron Bay. She has written for newspapers and magazines including The Courier Mail, Oyster, Frankie, Yen and Dazed & Confused and is a regular contributor to VICE, Triple J Magazine and music websites Mess + Noise and Noisey. She has also worked on numerous documentaries for VICE’s online TV station vbs.tv. Greg Saunders is the leading photographer for the BBWF. 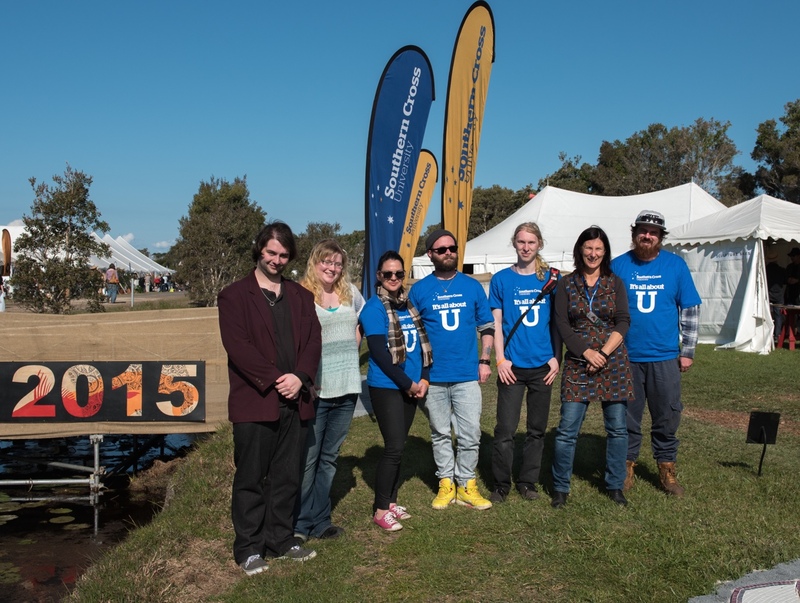 The 2014 team of student reporters and photographers for Byron Bay Writers’ Festival Blog includes Brendan Pearce, Stevi-Lee Alver, RP Stoval, Aki Shindo, Sophie Sambrook, Misha Sim, Bridie Tanner, Cath Piltz. Kelly Wintour, Emily Handley, Sue Henry, Madeleine Brown, Ashley Colhoun, David Wilton, Michelle Sim, Jo De Vos. Bloggers who have contributed over previous years and whose names appear in the archive of posts here include: Marnie Johnston, Aaron Monopoli, Emily Handley, Ajita Cannings, Rebecca Brown, Blair Casey, Margot Laidley-Scott, David Wilton, Thomas Weir, Michelle Sim, Rachel Pierssene, Callan Brunsdon, Kristie Yates, Kiera Patrick, Skye Prescott and Justin Fenwick, Josephine Mooney, Amelia Turner, Natalee Riedel, Brigette Lucas, Gabby Watson, Paul Steiner, Jennifer Ferguson, Max Quinn and Alex Workman, Richelle Buckingham, Ryan Butler and Hannah Brooks. Other aspects of the website are managed by Emily Brugman.